ROME -- Sixty days after national general elections were held in Italy, no government is in sight. Despite rumors of secret deals, the long and tense negotiations among the parties brought no solution while, in the meantime, tempers flared. Now the ball is in the hands of the long-suffering Italian president Sergio Mattarella, whose job it is to find a way out of the impasse. This is not the first time that Italy has had a long wait before a government is formed. Back in 1992, 82 days passed before Giuliano Amato was made Premier. Still, raising the tension level are the results of regional elections held in both the North and the South over the past two weeks, and widely viewed as harbingers of things to come. They show that Matteo Salvini's Lega is forging ahead relentlessly, at the cost of a perhaps surprisingly weakened M5S. Friuli-Venezia Giulia had over one million potential electors. There, on Sunday, April 29, the Lega coalition, with over 62%, trumped the M5S, which won barely 7%, by comparison with its almost 25% in the same area on of March 4. This placed the M5S in an even worse position than Berlusconi's FI, with over 12% on its own. The rudderless Partito Democratico, which had almost a third of the vote three years ago, is today splintered into a half dozen often antagonistic mini-parties, and is still identified with former Premier Matteo Renzi, actually made a decent showing by on its own winning 18% and, with coalition partners, over 26%. The previous week regional elections were also held in the Molise Region in the Italian South, shown in the March 4 election as a bulwark of M5S votes. The turnout was decidedly law, and here too Salvini's center-rightists triumphed, winning half the votes, or 49.3%. By comparison, the M5S slumped to under 32%, significantly less than the Lega coalition. Now, with the Lega sweeping the North, and the M5S appearing diminished even in the South, the situation appears more tense than ever. This setback may explain why Di Maio is demanding a new round of national general elections be held in June -- that is, before the M5S loses more of its appeal. 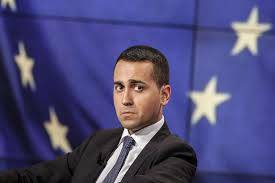 Already, some M5Sers are demanding that the 32-year-old Di Maio be replaced by another and more accomplished leader. Not surprisingly, Salvini was crowing. The Molise elections, he said, "confirm that the Italians have clear ideas: the PD and the left have been canceled from the face of the earth. They've been kicked out and cannot return to government. Our hope is that an executive between the two political powers of this country will be born. I am ready now." This was the offer Salvini made to Di Maio, who however continued to insist that the Salvini coalition would have to dump Berlusconi, an unworthy candidate and a "crook...who blocked the country for 20 years." When Salvini continued to refuse to break with Berlusconi, the deadlock grew serious. 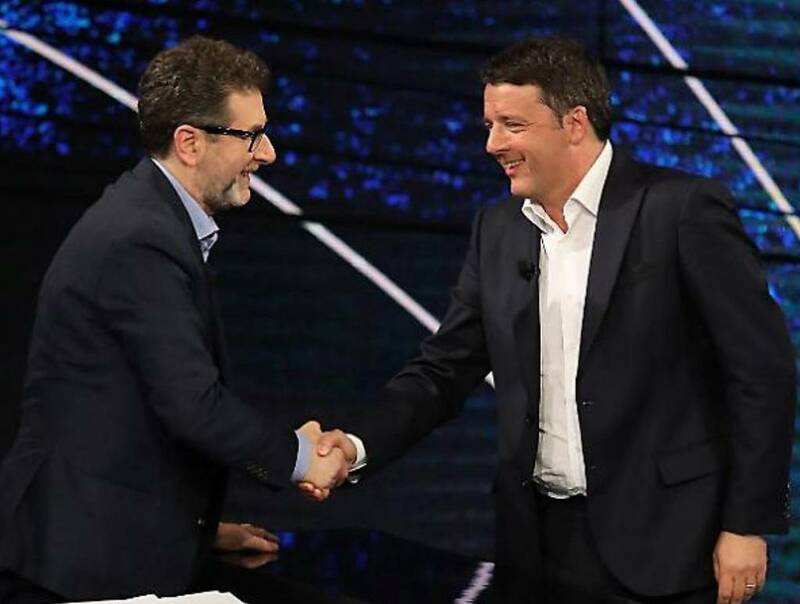 Briefly Di Maio flirted with the PD, but Renzi not only refused to enter government with the M5S, but, on a popular TV program with Fabio Fazio, attacked the M5S. "Let's let them do what they promised," he said, "if they are capable... we will not be the caretakers for Grillo's adventurers." As for Berlusconi, he boasted that the two regional elections "redimension the 5 Star amateur hour," compared with the protest vote expressed in the national general elections in March. 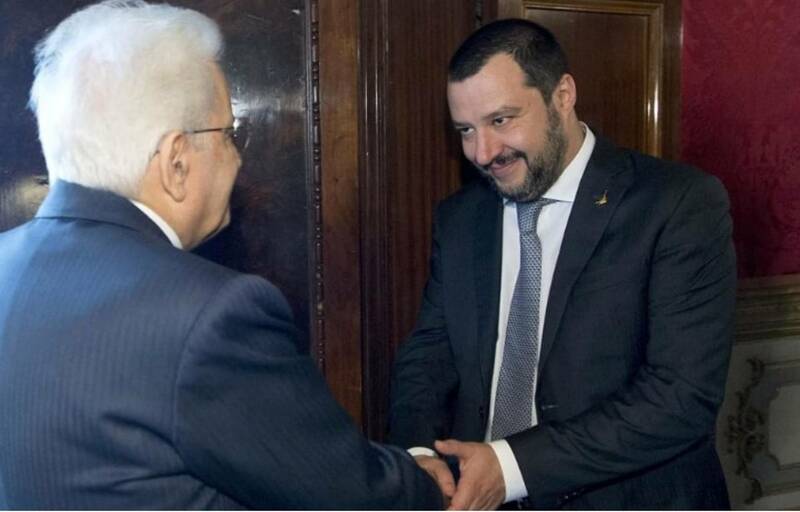 "The Grillini have shown they are incapable of achieving a consensus for their guiding the regions and the country," said a gleeful Berlusconi. The cause of the current stall is well known: on its own comedian Beppe Grillo's Movimento 5 Stelle (M5S), now headed by Luigi Di Maio, had bested all the others in the March 4 vote, winning 32% under a new and untried election law. But the three-party rightist coalition, composed of Matteo Salvini's Lega (formerly the Lega Nord), former Premier Silvio Berlusconi's Forza Italia (FI) and Giorgia Meloni's Fratelli d'Italia, outfoxed the M5S by copping, together, 37%. Although President Mattarella appointed the heads of the Chamber of Deputies and of the Senate to mediate, the two groups have flat out refused any compromise to work together. This leaves President Mattarella a limited number of choices. The first is to hold new elections in the autumn; Mattarella has already ruled out holding new elections immediately. If this is his choice, the current acting Premier Paolo Gentiloni, whom new polls show as the single most popular politician in Italy, may be asked to continue. Second alternative is to create a minority rightist government backed by Salvini, Berlusconi, and Meloni, who together command 216 votes in the Chamber (out of the 316 required for a majority), and, in the Senate, 127 out of 161 for a majority. A third option is what is called here a "Governo del Presidente" or grand coalition, in which all parties chip in votes for a distinguished candidate chosen by Mattarella. An advantage of this would be to postpone early elections for as much as a year while the dust settles. An important looming deadline, requiring the existence of a government, is to enact the Italian national budget.